Hello everyone! 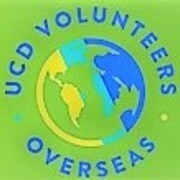 My name is Nikolas Dvorsky and I am a part of the UCD Volunteering Overseas team. In June 2017 we will be heading to Somoto in Nicaragua. We will be working on education and infrastructural development projects for 4 weeks. UCDVO began it's first project in Nicaragua in 2007. Volunteers have worked alongside local charities such as INPRHU, Xomothl and MCN, providing a supply of water and health centres to different villages. Each volunteer is required to raise €2600. This will be financed through fundraising events and personal finances mostly. Any donations at all would be a big help and we would really appreciate the support. Thanks!